Those following daily are beginning to get confortable with the jargon (I hope). For ease of newcomers following along , please consult the glossary of terms that I’ve written to make the terminology very understandable. Also, consult the post that explains the essential background. Goal: To assess the association between duration of breastfeeding and the risk of breast cancer in Sri Lankan women. 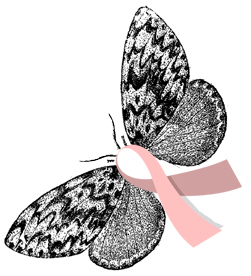 treatment for selected cancers, i.e., surgery for breast cancer. in the study as ‘cases’ until the required sample size was fulﬁlled. cervical cytology for apparently healthy women in the community. Well Women Clinic out of the 5 clinic centers. interviewers using a pre-tested, structured questionnaire. passive smoking, use of alcohol and daily activity level. Among women with past history of abortion, the OR is 3.42 (More than triple the risk of developing BC). The results validate well-known data indicating an increase in BC among women exposed to cigarette smoke. The data validate what is known about the protective effect of a full term pregnancy and prolonged exposure to lactogen and the general maturational effects of lactation hormones on the lobule cells during breastfeeding. And the data support all the aforementioned risk associated with breast cancer in women who have not had the protective effect of a first full term pregnancy because of abortion. Ideology is manifest when researchers claim the presence or activity of a phenomenon for which they have absolutely no data. All that these folks have is a hunch. But there needs to be a way to test for this phenomenon. In paper #3 yesterday, we saw even stronger association between abortion and breast cancer in Greece where there are no cultural constraints on abortion, and a diminished likelihood of reporting error. Thus, the Greek study tells us that if anything, the underreporting is not in the control groups, but in the experimental groups here in America. The Sri Lankan study shows an overwhelmingly high incidence of BC associated with abortion. This is a nation that is 70% Buddhist, 15% Hindu, 7.5% Muslim, and 7.5% Christian. Thus, there doesn’t appear to be the grounds for Palmer and Rosenberg’s contention of Catholic scruples as the source of reporting bias. I am reporting the science. The ideologues are those who invent phenomena to attenuate data that challenge their most cherished beliefs and practices. This study was entirely funded by Sri Lankan sources. *I have no institutional affiliation or membership with either group. Karen Malec and BCPI have been great resources for me, utterly generous with their time and resources. on September 24, 2010 at 7:10 AM L.
Ugh — I still hated breastfeeding, and even a lower chance of cancer wouldn’t be enough to make me like it! So I wonder, are there any ABC studies that track populations of post-abortive women the other way, to avoid the bias altogether? For instance, do any studies identify women who have ended pregnancies, and tracked them to see how many develop cancer compared to the general population? Howe HL, Senie RT, Bzduch H, Herzfeld P. Early abortion and breast cancer risk among women under age 40. Int J Epidemiol 1989;18:300-304. When abortion was legalized, the state’s legislature passed a law requiring a fetal death certificate for every abortion conducted. Researchers matched the fetal death certificates with patient records and reported a statistically significant 90% increased risk for women who’ve had abortions. The study was free of any possibility of report bias. Professor Joel Brind made attempts to secure the New York database some years ago in order to do a follow-up on the above study, but state health officials refused to let him have it (since he would have made his case that abortion is a risk factor for the disease), citing patient privacy – a lame excuse since provisions could be made for protecting privacy. Thank you Dr. Nadal for answering my previous question on another thread. Without going into detail I can say that breastfeeding had a very positive effect on my body. In fact it completely changed certain physical characteristics and I would say even “healed” certain conditions that were present prior to breastfeeding. @ Karen – the abortion lobby and abortion industry will do anything to keep women in the dark. Keep up the good work Dr. Nadal. This is really interesting stuff, and important. Very glad you’re doing this. Besides, I really don’t miss cable tv (which we got rid of) when I’m reading your blog. Sure glad your blog doesn’t charge any monthly fees! Thanks Dr. Terry. It’s a labor of love. My best to your wife, whom I would love to meet someday soon. Thanks GMN. We’ll be in NY at some point in the next year. We’d love to take you and your crew to dinner. Perhaps Dennino’s if you’re up to it. With your three kids, my two kids, and me… that’ll make six kids! Meanwhile, we’re looking forward to the next installment in this series… same bat-time, same bat-channel!